Consumer units also commonly referred to as fuse boxes can potentially save your life. 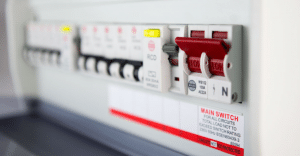 A fuse board replacement will provide much more protection to your home. However, a faulty consumer unit can also be responsible for loosing your life too. 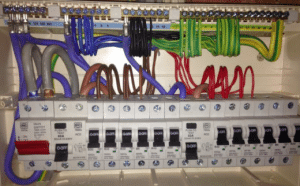 It definitely will pay you to be aware of the ‘current health’ of your consumer unit, and how capable it may be of saving your life should a problem develop. Plymouth Sparky can Supply and fit a New updated consumer unit and all the relevant certificates. So why not get us to come out and give you a free quote.